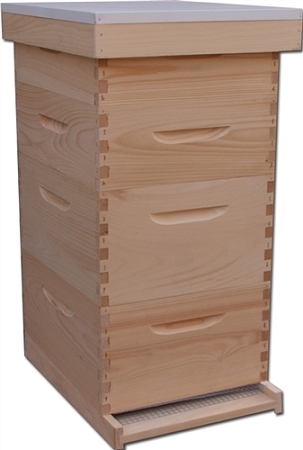 Hives are made from kiln-dried white pine with box joint corners. Stapled with 2 inch staples so hive will not come apart. This hive setup is completely assembled. Also available hot wax treated, boiled in paraffin wax to remove all moisture from wood, for $40 additional (quantities may be limited). Water will bead off wood and not penetrate, so no chance of rot or bugs destroying hive. No need to paint. In-store pickup only due to excess size and weight. Amazing quality and great price. No other site I visited came close in price. 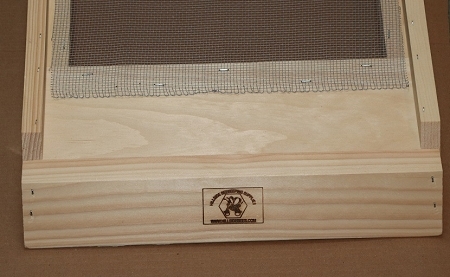 The hive seems well made with long glue coated galvanized staples. I painted it up for the 2018 season. Found the crew at Hillside very helpful, sharing knowledge with this new beekeeper. Brought a friend who bought the treated hive.